Shah Rukh Khan recently celebrated his 52nd birthday and fans all over the world wished him in many different ways. One special fan took to Facebook and penned an open letter to the Kuch Kuch Hota Hai star on how he has made the entire generation believe in “unrealistic” love. I don’t like you one bit. No, not at all. It is because of you that I looked for my ‘Raj’ during every train ride and each journey turned into a major disappointment as the only ones that I met were coughing uncles and crying infants. 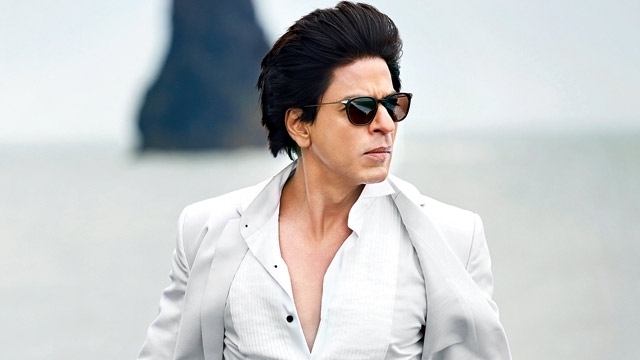 The ‘King of Romance,’ Shah Rukh Khan recently celebrated his 52ndbirthday and fans all over the world gathered to wish him. One special fan took to Facebook and penned an open letter to the Kuch Kuch Hota Hai star on how he has made the entire generation believe in “unrealistic” love. It is because of you that I, a woman in her 20s, still cries like a baby while watching Kal Ho Na Ho for the 50th time. I’m not embarrassed to be honest. It is because of you that friendship bands became cool and countless nights were spent wishing upon shooting stars. It’s you who made me believe that if Veer could spend 22 years in jail for Zara, my crush could at least text me back. See, I am not a teen anymore. I know things in life don’t happen by wishing upon stars. I know that boys and girls can be just friends, and that pyaar isn’t always dosti. I know that love doesn’t always arrive while playing mandolin in the background. It is much quieter, much simpler. I know that you cannot dance in sleeveless blouses and chiffon sarees on snow-capped mountains if you wish to come back alive. I know that not every father lets his daughter get on the train. I know that no one will turn, I know that a dialogue won’t change my defeats into victories. But in that moment, that faith is all I need. Thank you SRK, for the dreams, the ever open arms, and for single-handedly giving birth to unrealistic expectations of romance. And I know that if a man can make a crowd of thousands cry every time he sheds a tear on screen, he’ll always hold the power to make us believe in love and a lot more.